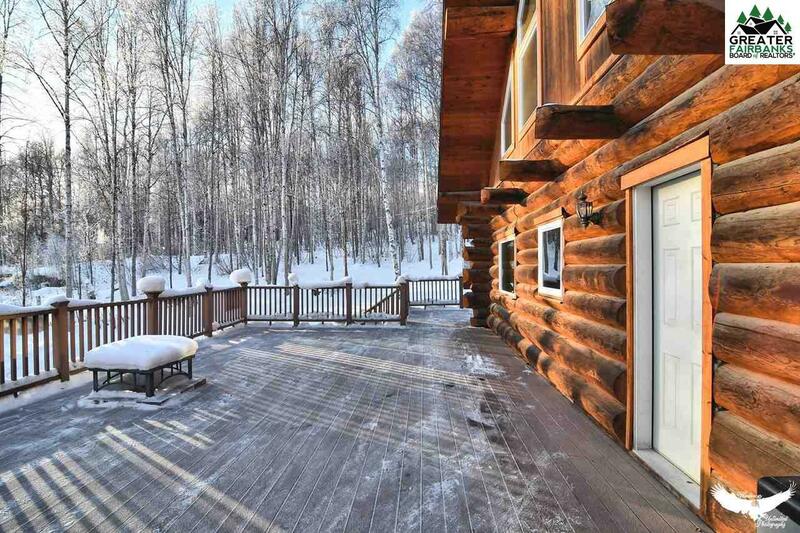 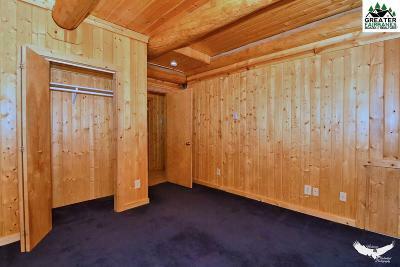 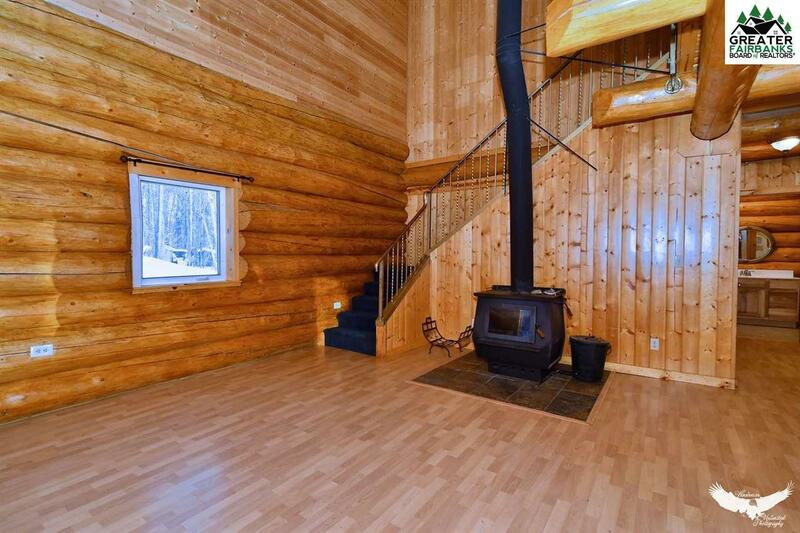 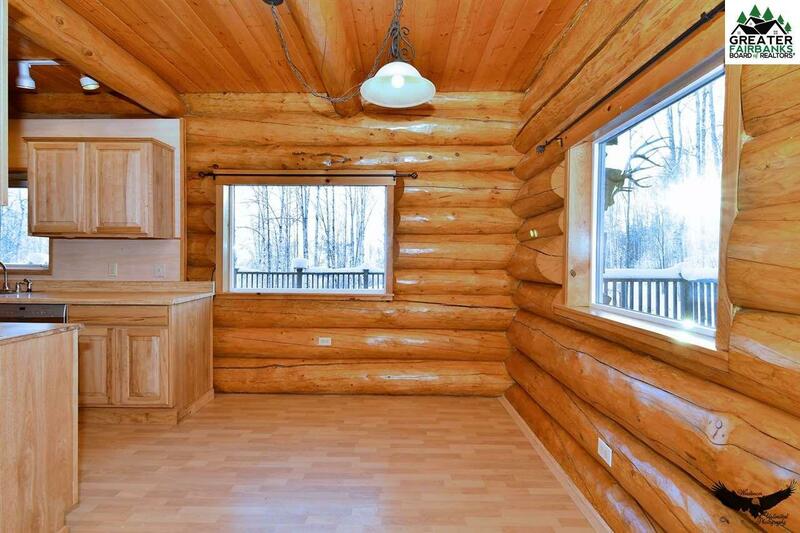 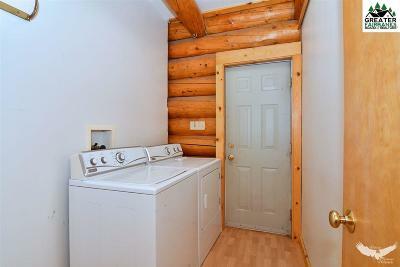 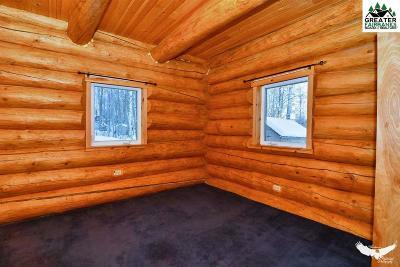 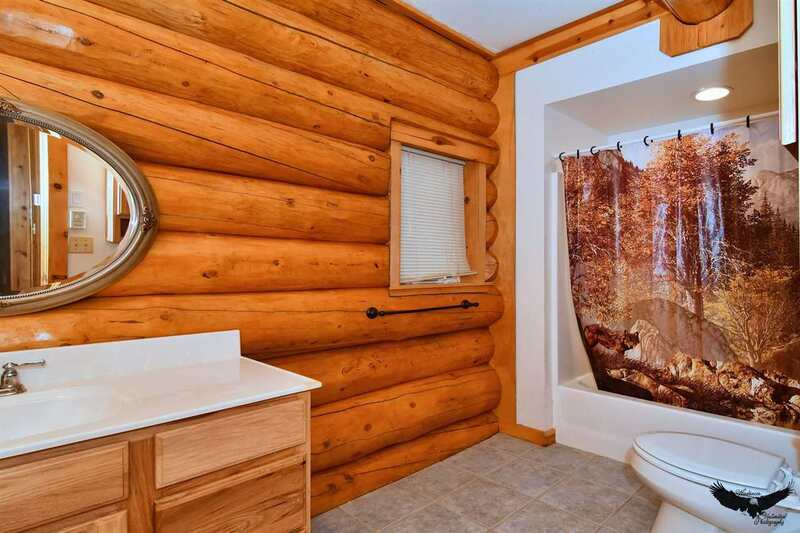 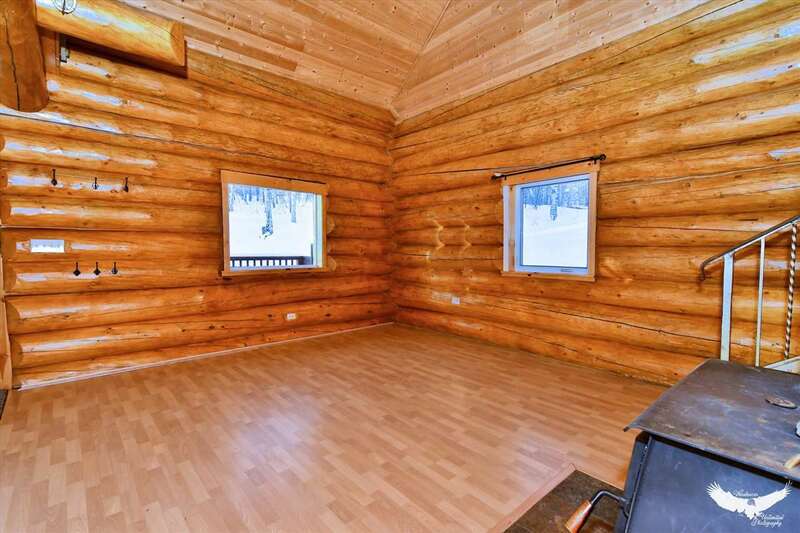 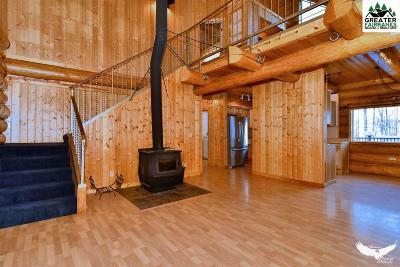 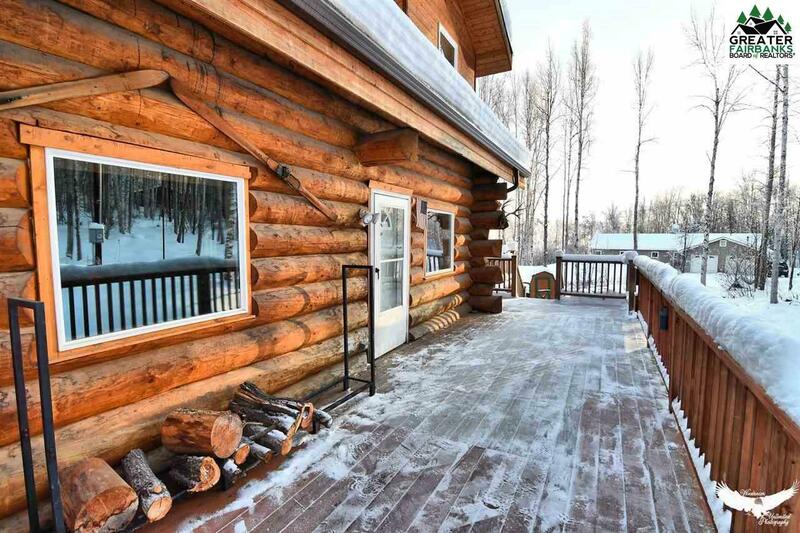 Beautiful large logs in this amazing hillside home on 1.36 acres! 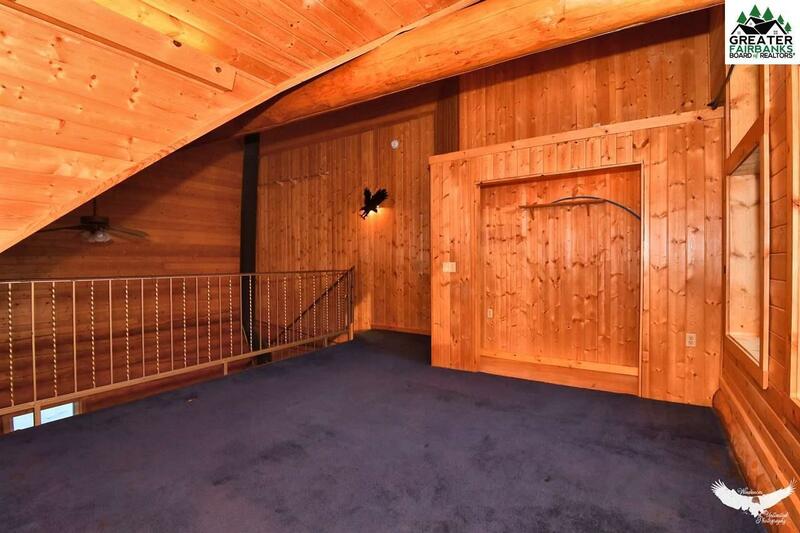 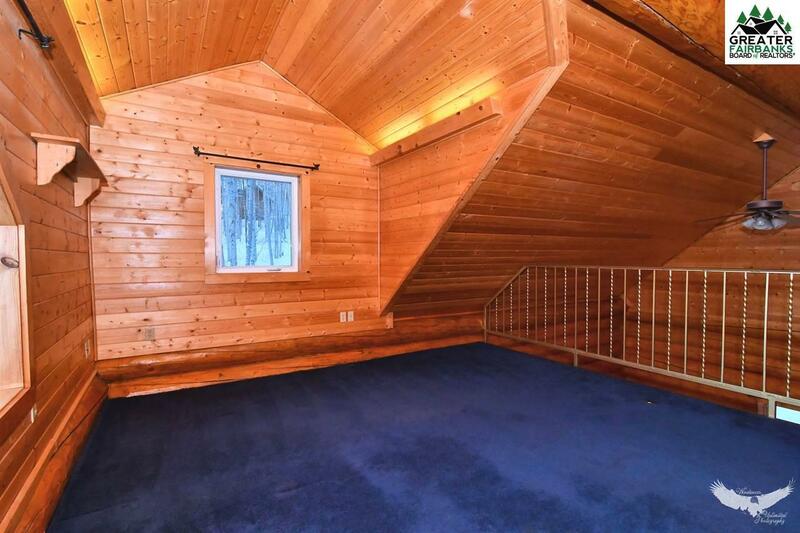 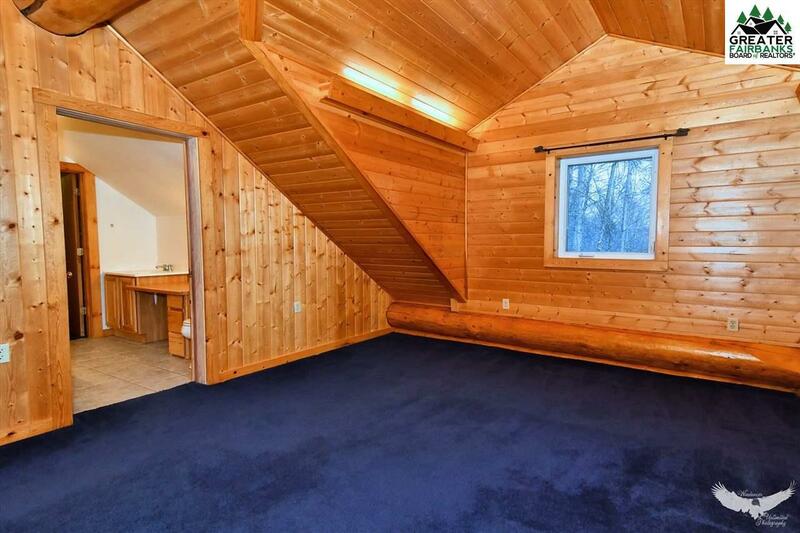 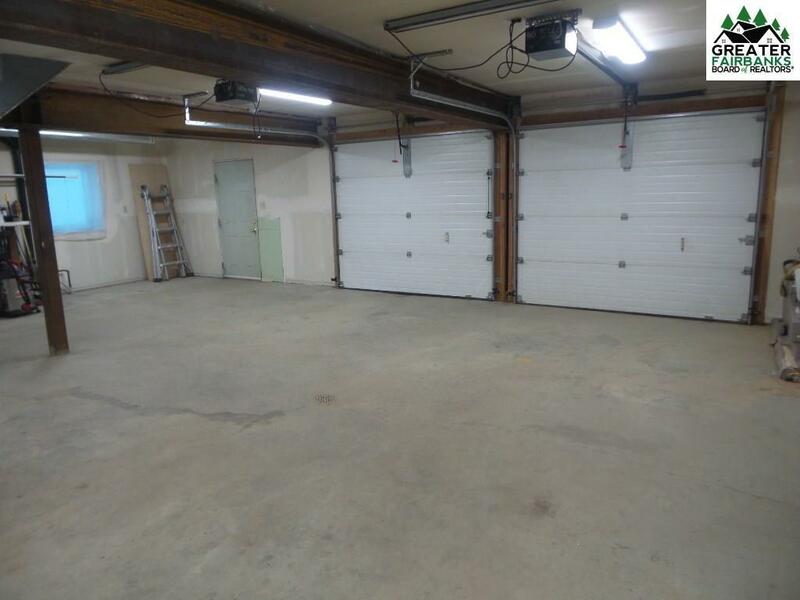 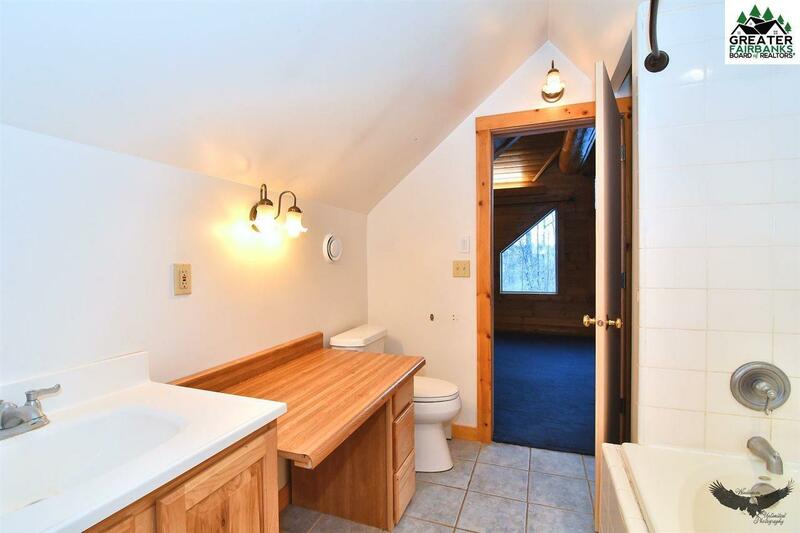 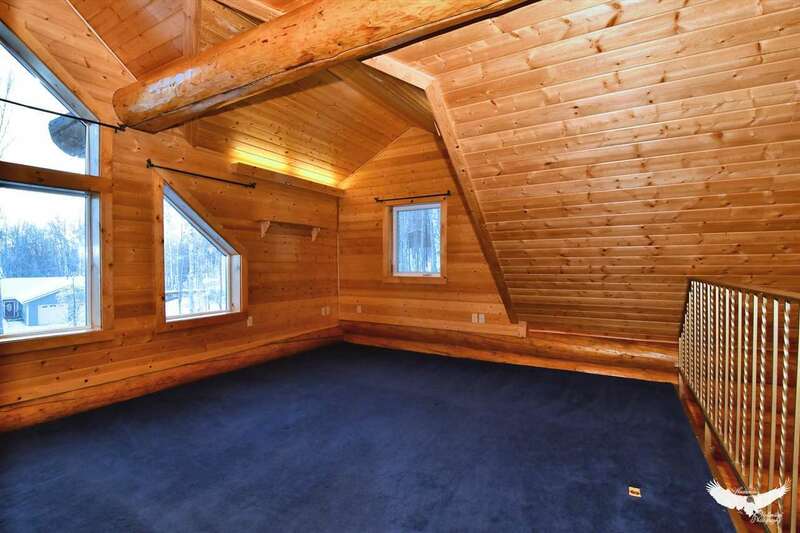 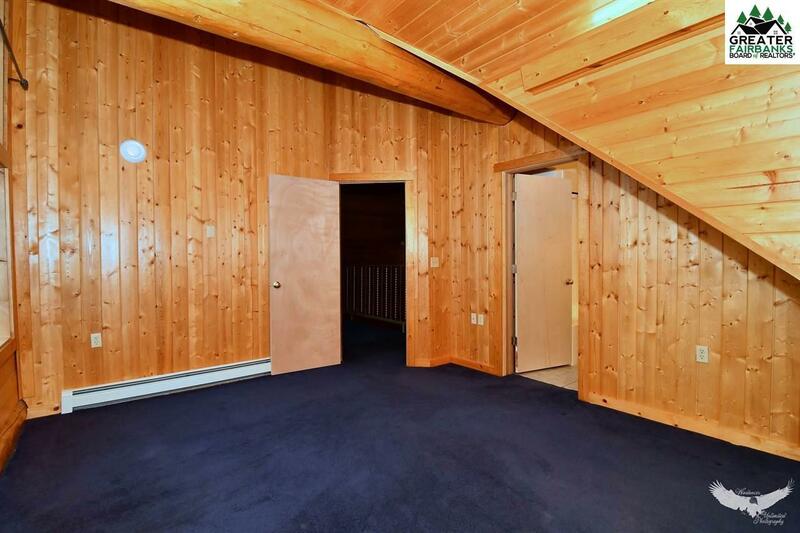 Vaulted ceiling, Woodstove, Oversized garage with workshop area, wood accents throughout, Over 1000 sq ft of deck for entertaining and summer BBQ&apos;s. The 3rd bedroom is the loft area overlooking living room which could easily be walled in by adding a wall and door. 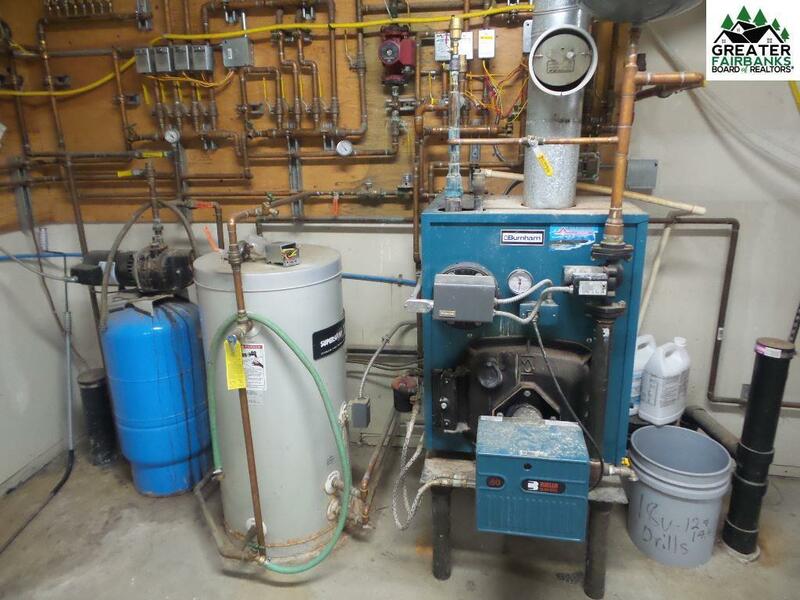 HRV-heat recovery ventilation system and Radiant floor heat. 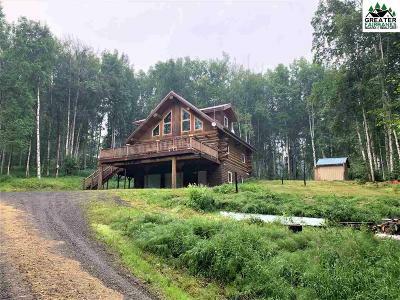 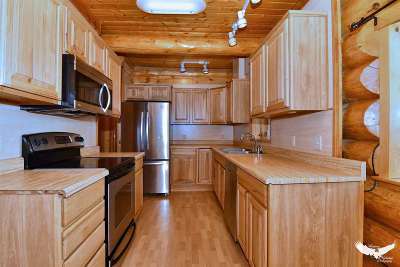 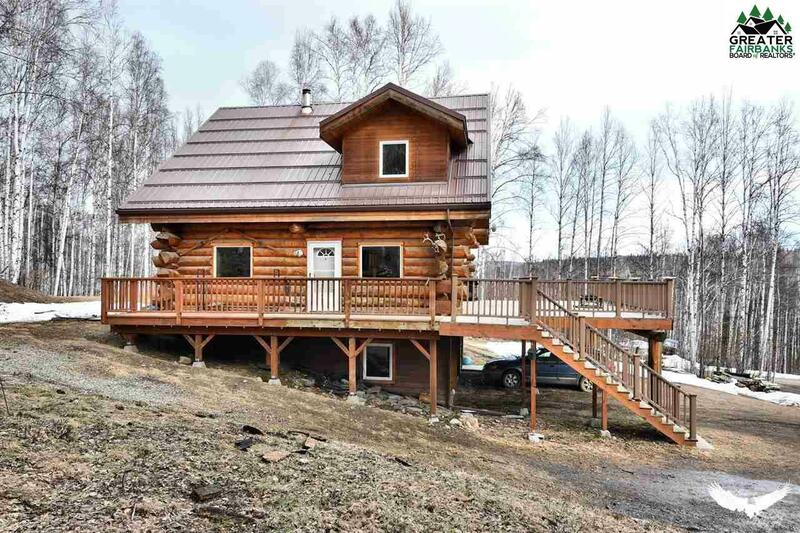 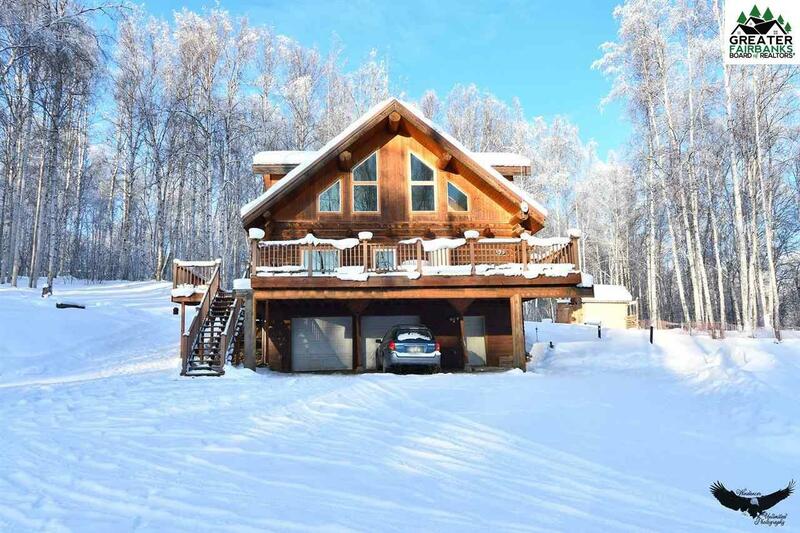 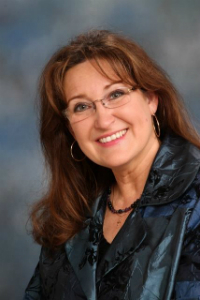 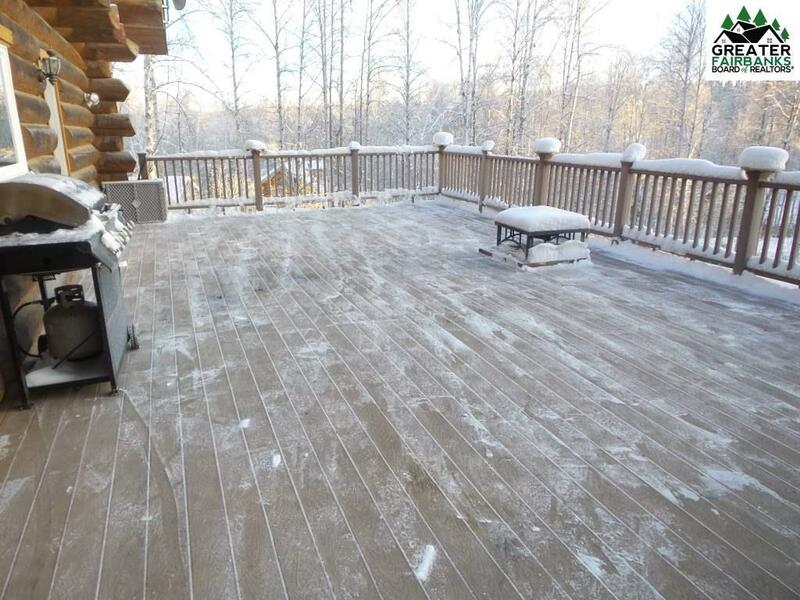 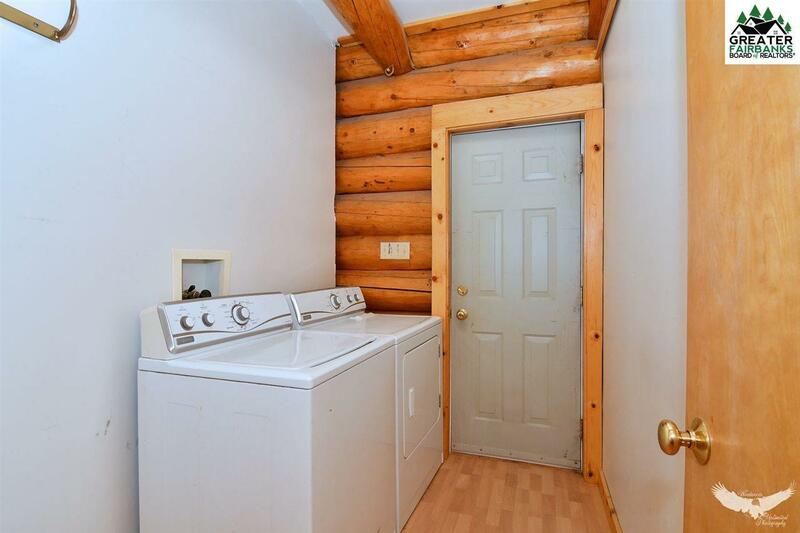 Great location Near Fort Wainwright & just minutes to UAF.